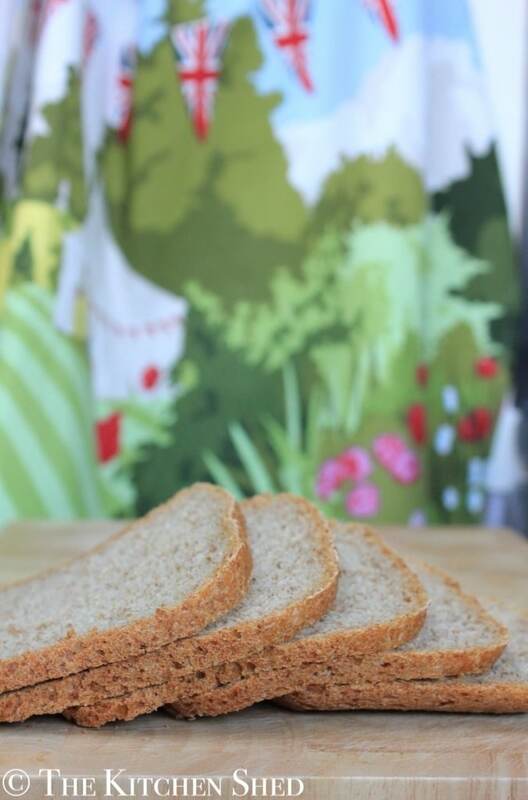 When I first started eating clean I bought Saisbury’s Basic Wholemeal Bread for 50p. (I bet its not 50p anymore!). Then when we had a little more money I bought Hovis Wholemeal Bread or Kingsmill Wholemeal Bread, whichever one was on offer. 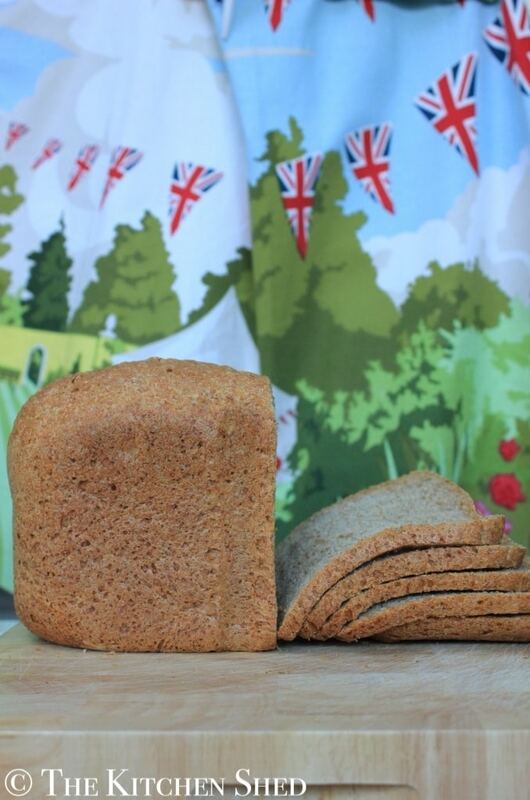 Shop bought wholemeal bread is better for you than shop bought white bread and this allowed me to provide a healthier alternative for myself and for my family. As I got further into my clean eating journey I wanted to eat bread that was even healthier and I knew that if I made my own bread I would be in control of exactly what went into it. So 3 years ago my parents bought me a bread maker for my birthday and I have been in love with it ever since. I cleaned up the 100% wholemeal bread recipe in my bread makers manual by cutting out the sugar completely and cutting down the salt and the butter and I have come up with what I am happy to call Clean Eating Breadmaker Bread. – Its delicious! If you don’t have a bread maker, you can always make your own bread by hand. Here is a recipe for some Clean Eating Sandwich Rolls which are dairy free too. 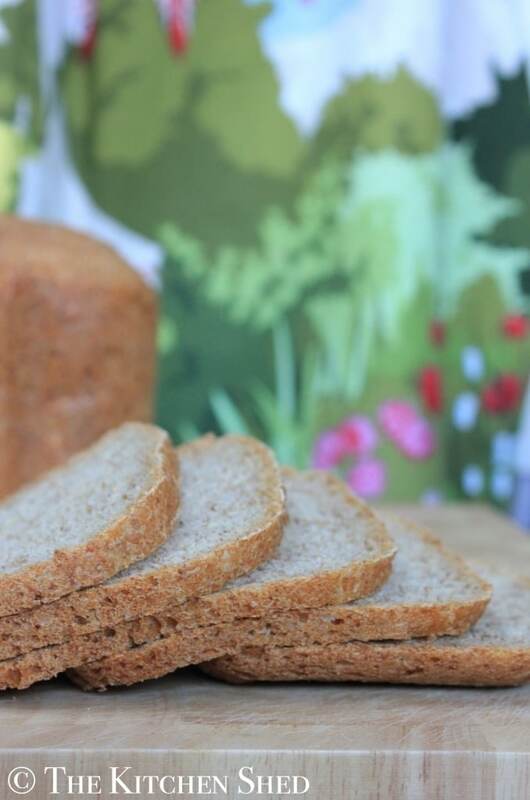 If you are used to eating white bread, you may want to make the process of swapping to 100% wholemeal bread a little more gradual. Sometimes your stomach can find it a bit to much to do a straight swap, so you can try half white and half wholemeal until your body has adapted to it. I cleaned up the 100% wholemeal bread recipe in my bread makers manual by cutting out the sugar completely and cutting down the salt and the butter and I have come up with what I am happy to call Clean Eating Breadmaker Bread. - Its delicious! Place all of the ingredients into the bread maker in the order stated above. (or whatever order your bread maker suggests). Turn the bread maker on to a 100% wholemeal setting - mine takes 5 hours. After 5 hours (or when your bread is finished) take the bread out and allow it to cool before serving or storing. I’m loving my new bread maker and waking up to the smell of freshly made bread! Still adjusting to making the change from white bread. Tastes lovely toasted with peanut butter (everything tastes nice with peanut butter). This is so tasty but I need lessons in how to cut it properly! I always end up with doorsteps for slices! Can you get a slicing guide? How would you do this without bread maker please? Does anybody know how many calories are in this bread?? ?